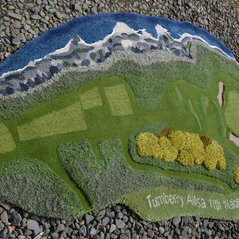 Established in 1991, the team at Turnberry Rug Works hand produce exquisite, bespoke rugs and wall hangings from a converted granary overlooking the sea at Girvan, on the picturesque West Coast of Scotland. 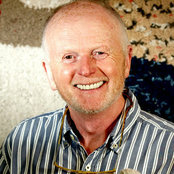 The dedicated band of craftsman are an employee owned company Manufacturing using only the best merino wool, between using the hand-tufting method and maintaining close relationships with dyers Turnberry Rug Works can create almost any concept from modern art to company logos or intricate prints. 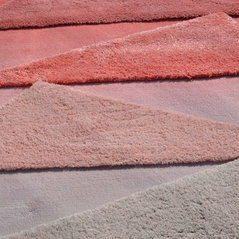 The workforce's expertise means they can even include natural materials such as stones, leather, seashells, steel and glass; as well as silk, linen, worsted wools and felted yarns, into the designs. 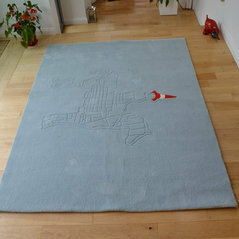 Turnberry Rug Works' quality and high level of customer service make them favourites with interior designers, architects, corporate and private clients alike; including the British Embassy network, Virgin Money and Aquascutum. 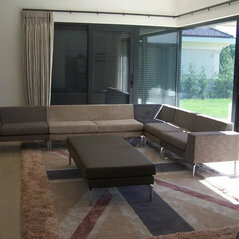 Turnberry Rug Works' creations can be found in private homes and business premises. 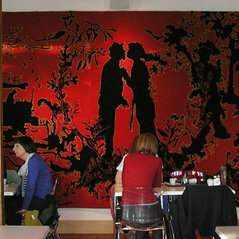 A 2011 tapestry collaboration with Timorous Beasties, commissioned by the National Trust for Scotland, can be seen on public display at the Robert Burns Birthplace Museum in Alloway. 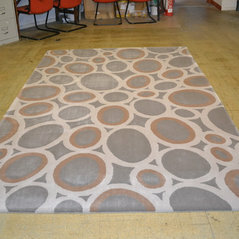 Typical Job Costs:£100/m2 - £400/m2Cost per m2 depends on design complexity and yarns chosen. 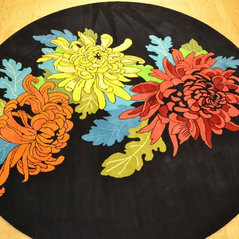 Turnberry Rugs offer an excellent service. 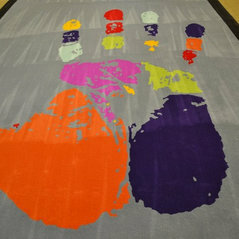 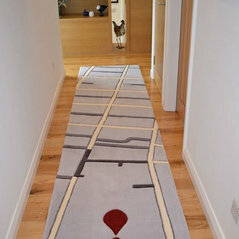 The rugs they have made for my clients have been perfect. 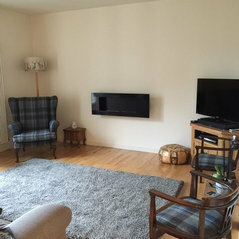 Exactly what we asked for.